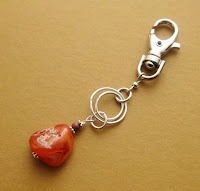 Tips, news, inspirations, how-tos and info for lovers of jewellery, crafting, Etsy and Ireland. With glimpses of Irish walking trails and gorgeous scenery that always inspires me. Yes, I know the title sounds comical, but in all the years I've been wearing jeans I never knew this handy little trick for keeping your zipper up when it should be up. Sometimes you get a pair with a wonky zip that is 'afraid of heights.' I currently have two pairs like that in my wardrobe and rather than suffering along with a dodgy and sometimes dangerous safety pin, I decided to find a better solution. And then I came across this clever fix that is so simple I feel like slapping my forehead. How come I never knew about this or thought of it myself???? 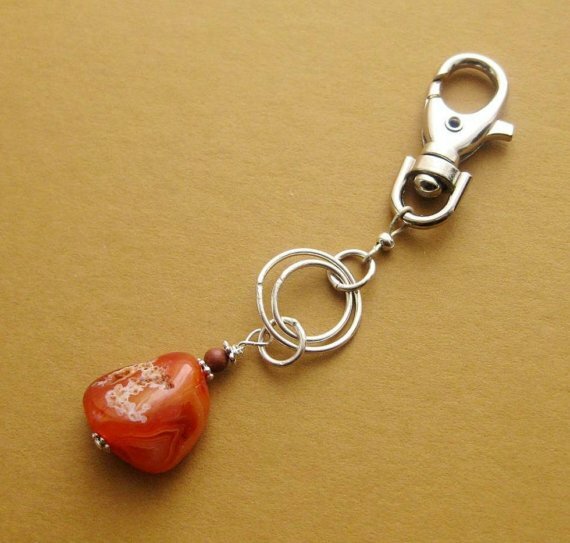 Simply attach a plain split-ring keyring to the zipper pull. Button up as normal, without a trace. If you're thinking 'pah, I knew that old trick' then why oh why didn't you tell me about it, eh?! I hope this helps someone somewhere from losing their dignity or getting pranged by another pin. That is simply fantastic! It happened recently to my favourite pair. I eventually brought them to a seamstress, but I wish I had seen this to stop the embarrassing moments before I managed to bring them in (there were a lot of those moments :p). I know. I wish I'd known about it years ago too! And it works!!! SOO simple... but the simple ideas are always the best. And easy to undo if you are in a hurry, have had some nasty moments with safety pins! True, simple ideas are often the best. Brillant, I love it. I have two pairs of jeans and one pair of suit trousers like this that will now get the wearing they deserve. Ace! I never heard of that one- well if everywhere is sold out of keyrings, we'll all know why!! Love it! I have one pair that never fail to let me down (ooops) - will put manners on them with this little trick, thanks! oh my god... I'm sorry, but that is fecking genius!!! I'll have to phone my mother right now because this is one of her biggest complaints in life!! Thanks for sharing! chuckle. Out with the oul' safety pins, eh? It is absolutely clever! I will be buying key rings for my jeans! All the aggravation that I could have avoided! 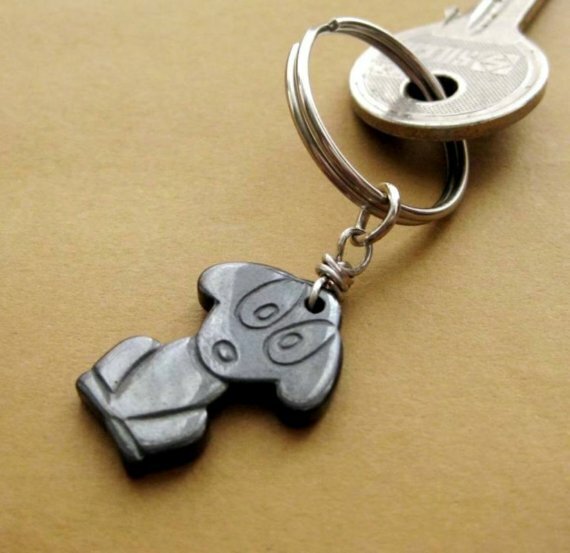 And, I like your key rings, Anne-Marie. This is a pretty nifty idea. I recently bought a cheap little product that works really well too called zipperade. The nice part about it is that you can leave it attached while you wash your jeans, so it's always there. thanks for commenting. Yep, I left the keyring on that pair of jeans and put it through the wash too, no bother. Though I do make sure to close the zip and put the ring around the button for the washing machine too.